The Fifth annual international Ilan Ramon Space Conference | Space Agenda, The space related events calendar! 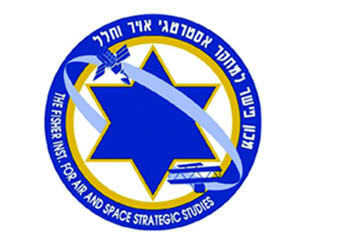 The Fisher Brothers Institute for Air & Space Strategic Studies is organizing and hosting the Fifth Annual International Conference on Space Research, honoring the crew of space shuttle Columbia and Israel’s first astronaut, the late Colonel Ilan Ramon. The Conference will take place at the Israel Air Force Center in Herzliya, January 27th -28th, 2010. Among the partners of the Conference are the Ministry of Science & Technology and the Israeli Space Agency. The guest of honor will be The President of the State of Israel - Mr. Shimon Peres. The Conference will also include the Commander of US Strategic command – Gen. Kevin P. (Chili) Chilton, The Commander of the IAF – Maj. Gen. Ido Nehushtan, and for the first time in our conference, NASA administrator, Gen. Charles Bolden. The Conference will include 2,000 participants among them – high officials from IDF & IAF, military attaché's, representative of the Israeli government, representatives from the Israeli defense industries and outstanding physics & science students from all over the county .